What is Avon Cosmetics About? Chiefly, it’s about providing consumers with products that can help them. For instance, makeup, skin care, bath and body, and of course fragrance. So What is Avon Cosmetics About? Not only does the company provide products for beauty and skin care, but you can earn money with Avon Cosmetics. 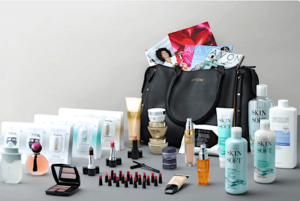 Key focus of this post looks at Avon’s starter kits and some products. Based on this, you can have a clearer understanding of the question: What is Avon Cosmetics About? Although Avon offers a range of cosmetics from bath and body care to fragrances, the company is also into other products. Notably, Avon provides the opportunity for entrepreneurs to invest in their company. That is to say, you can become a sales representative and earn money. Seeing that Avon products have been in so many homes for decades, it goes to show their popularity. So this could mean that the company rolls out some good products. No doubt about that, I use them. Markedly, Avon is a big name in direct sales. Given that Avon has been in business for more than 100 years, it is well-established. Most Avon users that I know love the products. Rarely do I ever hear an expression of dissatisfaction. Keep in mind that there are other products other than cosmetics. For instance, fashion and home goods. Along with the cosmetics, sales representatives can extend the products they offer. One way is to sell their products and earn a commission. Another way to earn is to recruit people to become sales representatives. Still, another way is to be a part of their affiliate marketing program. Basically, this is where you promote the products through links on your website, or with videos. Ideally, you can write content to let consumers know how the products can help them. Granted that you can start only with $25, it’s very easy for many people to join in. Following this, you also have to buy brochures, and other materials like catalogs to help you market the products. Keep in mind that you also have to pay for shipping and handling. Here are examples of the starter kits. Even though the value of this kit is $80, you get it for $25. With just a few items, it’s easy for you to test out your sales pitch. Additionally, there are some brochures and other materials relating to sales. Here is another starter kit that you can get for $50 although its value is $140. 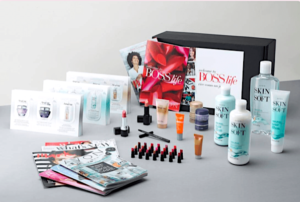 Like the quick starter, this one has full size products, minis, samples, brochures and more sales information. Most notably, the cost of this kit is $100 although it has a value of $400. Needless to say, the items in this kit are from Avon’s top brands: Anew, Skin So Soft and True Color. Equally important is that these products fall under Avon’s best sellers. Similar to the products from the quick starter and advanced starter kits, there are full size and minis. Obviously for this size and cost, there are more items in the package. With 20 full size and 20 mini products, along with samples, this is certainly a great starter kit. Moreover, there is an Avon tote and lots of brochures and other sales materials. Discover more about Avon’s products at this link. On the negative side there are a few things you need to consider before you join Avon MLM. To make sales, you need to constantly purchase the products. Undoubtedly, the transition up the ladder can be very slow. Since getting higher commissions have to do with how much you sell and how fast your group grows, you have to put in a lot of work. Being that it can be hard to earn with a MLM company, you can certainly lose your money. Albeit, when you can’t get recruits and sales, that’s a loss. For this reason, I don’t do MLM. One stumbling block with Avon is strong competition. After all, the company has been going for more than 133 years. Forthwith, they have thousands of sales representatives. And many of them have websites selling the same products. Of course, it can take time for you to get your foot wet, but that does not mean you should shy away from competition. Seeing that I tried MLM before, the responses from people were always negative. Hence, I now stay away from that business model. Right now, I promote products through affiliate marketing. My learning platform is Wealthy Affiliate. Would you like to learn how to start an online business that offers more than just Avon cosmetics? Discover more by clicking this link. In case you want to earn money with Avon, it’s good to know which opportunity is best. Globally, Avon is one of the largest multi-level marketing (MLM) companies. Despite this fact, the business it offers for you to make money can be an up hill task. Although multi-level marketing (MLM) companies have a negative side, Avon certainly is on the right track. Like any other job, if you work hard at your Avon job you can definitely make money. Another point is that you don’t have to do MLM with Avon. Key point is that it can take a long time to earn money. So an option is doing Avon’s affiliate marketing instead. To compare, it can take about 6 months to earn your first payout with MLM as against 3 months with affiliate marketing. Certainly, if you consider affiliate marketing with Avon, you don’t need to spend money to buy products and keep an inventory. Matter of fact, you just need to create your website and have links to the products you want to promote. Using videos and social media are great too. Typically, many consumers just love Avon cosmetics like these. When you choose this option, you can write a post about specific products. Ideally, reviews can be eye-catching. For instance, a review on Anew which is a popular brand. As long as you make sales, you earn commissions. Writer’s Note: By the way, you can build your own Cosmetics business solely on affiliate marketing. Click Here To Learn How To Start Your Own Online Business. One of the best things about being an Avon affiliate is that you don’t have to recruit people to sign up under your level. So if you are not into MLM and recruiting, then this is a great option. To join Avon affiliate program, you can do so through CJ Affiliate by Conversant. Initially, this affiliate network was Commission Junction. On the other hand, you can also promote the products through Amazon. Remember, the amount of money you can make depends on how much work you put into your business. If you don’t think that you can get to your financial goal with Avon products, then you can create a website to promote other beauty products. Not all visitors to your website will want Avon products, so don’t miss out on the opportunity to offer cosmetics from other companies. Therefore, offering products and writing useful content to help with a problem is a big deal. As long as your content ranks well on Google, and you have traffic to your website, you can definitely earn money. All in all, Avon is a big name in direct sales. But MLM can be costly, and you can lose your money. Why take such a risk with your money? Instead, you can try affiliate marketing and still promote Avon products alongside others. To get the best training, here is my #1 recommendation. P. S. You are a big online shopper like myself. Amazon has the best price on these Avon Cosmetics. Usually, consumers want to try out a product before they get into a business deal. In the event that you would like to try out some Avon Cosmetics before ordering a starter kit, you can take a look at these. Though this is creamy and moisturizing, it does not feel greasy. Neither does it feel like it weighs down on the skin. Instead, this day cream can leave your skin looking and feeling incredible and well moisturized. Whether you want to wear it alone or under make up, it can help your skin feel soft and alive. Actually, the added sunscreen protection can make your skin feel and look younger. Basically, this cream can help to brighten the appearance of your skin. Most notably, it helps to take care of the dryness and brings overall improvement to the skin. Hence, it can help to reduce some wrinkle lines (not dramatic though). With Jojoba oil, this lotion is ideal for normal to dry skin. Rest assured that it is smooth, creamy and smells great. As a moisturizer, it does the job. Moreover, it is healing for itchy skin. In case you are visiting areas where there are mosquitoes, this lotion can help to shield against mosquito bites. That’s the word from some consumers who believe in it. So not only does this lotion soften the skin, but also protects against insect bites. For me, it works well, and that’s why I recommend it. A good neutral color palette is what some consumers prefer. To see if this one can work for you, check it out here. Combining the colors can certainly work well as they last all day.